President Trump has been increasingly critical of the local law enforcement response (in addition to the FBI) or lack thereof to the most recent school shooting in Florida. 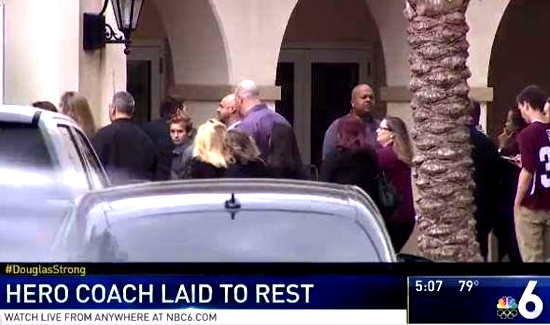 “When it came time to get in there and do something, he didn’t have the courage or something happened, but he certainly did a poor job,” Trump said. 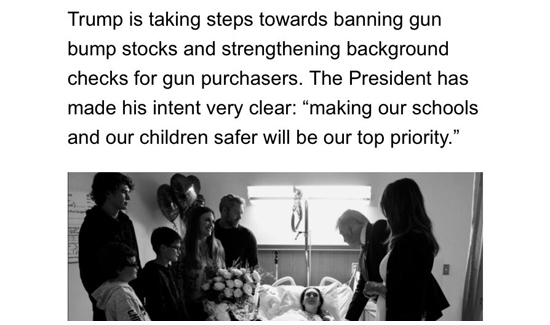 Above: A screen shot from a fundraising mailer sent out by the President’s re-election campaign team asking for donations after the most recent school shooting. The new budget makes huge cuts to the funds designated for background checks for firearms purchases involving “mentally disturbed, even expelled from school for bad and erratic behavior… Must always report such instances to authorities, again and again!” type individuals. But not everyone is comfortable with the Monday morning quaterbacking and at least one law enforcement instructor and former Border Patrol official is taking the people calling some of the Broward County personnel “cowards,” to task. The point the author makes is that you never know how someone’s going to react when the gunfire starts. And it doesn’t matter if they’re a cop, a teacher or a student. Fight or flight is a biological response. On the other hand, when you use the term “spineless” to describe criticism of inaction or perceived inaction, it’s easy to see how steep the incline is on an uphill battle. Read the instructor’s op-ed piece here.